Redefine the interior style of your vehicle with the Sportster CS or Cross Sportster. The Sportster is the latest in aftermarket seating technology. The hybrid design incorporates the strength of a metal seat base with a reinforced polymer based backrest. The combination creates a sleek, distinct, eye-catching look. The integrated headrest and aggressive bolstering are reminiscent of racing seats while the comfort and ergonomic qualities are evocative of the world’s top sport luxury automobiles. Sacrifice nothing with the Sportster CS or Cross Sportster. 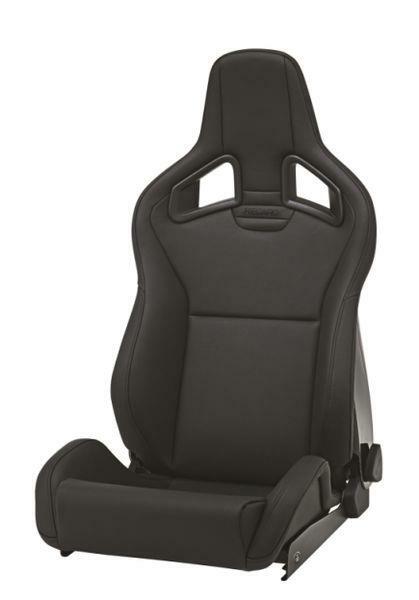 RECARO Design: The RECARO Sportster’s unique design is a favorite among auto manufacturers offered in sport edition vehicles including the Mini John Cooper Works, Ford Focus RS and many others. The integrated headrest with belt pass-throughs, aggressively bolstered shoulder, back and thigh areas and slim backrest design make the Sportster the ultimate in seating performance and comfort. RECARO Ergonomics: RECARO seats offer un-equaled ergonomics. The unique S shaped structure of RECARO seats provide “built-in” lumbar support. 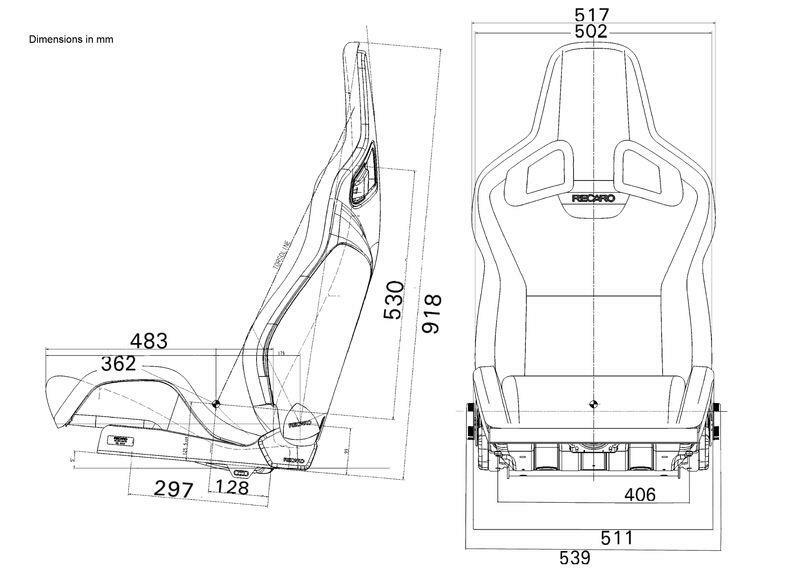 By design, RECARO seats promote an ergonomically correct, comfortable experience. RECARO seats deliver world-class comfort by aligning the spinal cord in the most natural and healthy position like no other aftermarket automotive seat can. You only have to sit in a RECARO seat to “feel the difference”. Ultra Thin Backrest: Sleek molded backrest offers superior ergonomics, unique styling and interior space savings. 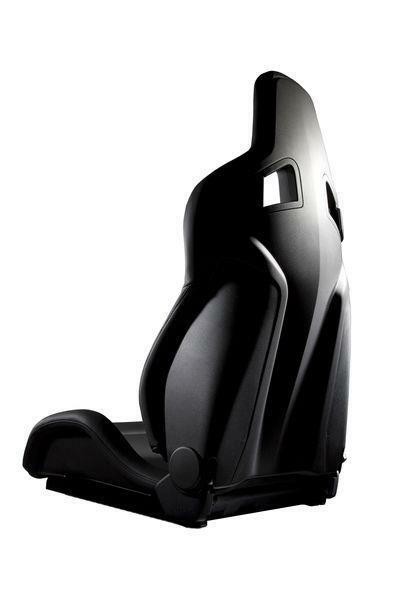 Integrated Lumbar Support: Proper lumbar support is an integral part of the comfort of an automotive seat. 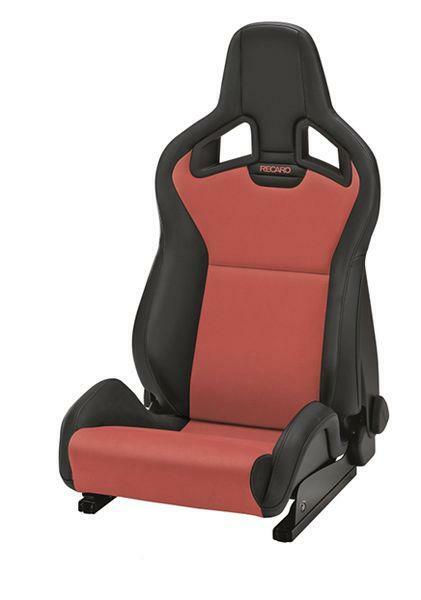 RECARO’s proprietary lumbar support technology provides superior comfort and support. Shoulder, Back and Thigh Bolsters: Driving in a RECARO seat is not all about correct sitting, it is about performance too. The pronounced shoulder, back and thigh bolsters will keep you firmly in place under the most aggressive driving situations. Adjustable Backrest: Easy manual dial mechanism moves the backrest into the correct and comfortable driving position. Integrated Headrest: Integrated headrest is designed with belt pass-throughs for 4 point belt harnesses for a sport appearance. Integrated Side-mounts: The ingenious Sportster CS design includes integrated side-mounts for easy attachment to other vehicle installation hardware. Seat Back Release: The seat back release is integrated into the belt pass-through area for a clean look. Moves the backrest forward for easy access to the rear seat compartment. High Quality Foam Padding: The entire seat is lined with thick, dense high quality foam, adding to seats sport feel and ensuring long lasting support. Upholstery: RECARO chooses the best materials for its covers and then sews them with precision, assuring the seat will look great for years.